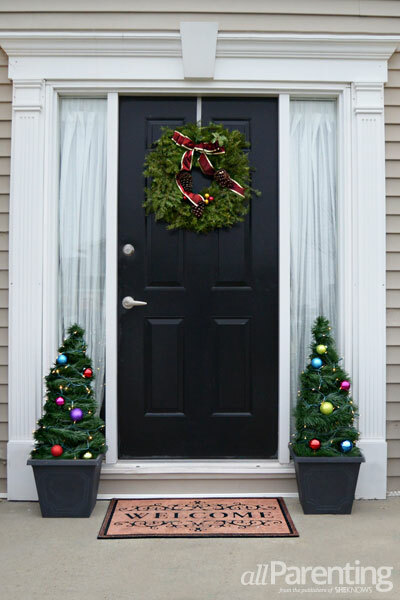 Buying a bunch of pre-lit outdoor Christmas decorations can really add up fast. 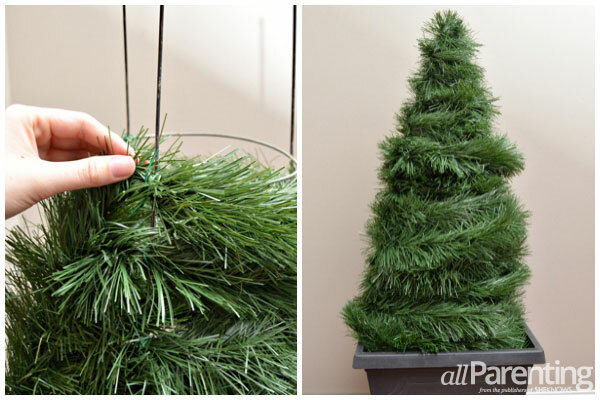 This DIY Christmas tree topiary tutorial will show you how to whip up your own lighted decorations in under an hour! Start by turning the tomato cage with the pointed end toward the top. 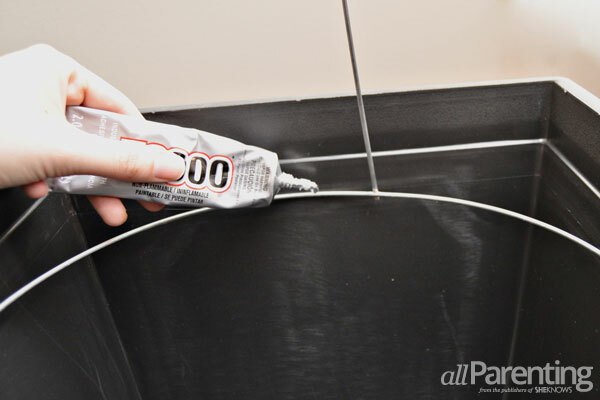 Set it inside the pot and glue the tomato cage to the inside of the pot with the weather-proof adhesive. TiP^ If you would like your pot to do double-duty in the spring, fill it with soil and stake the tomato cage into the soil instead of gluing it. When spring arrives, take out the topiary and plant flowers. Starting at the bottom, begin wrapping the garland around the tomato cage. Secure the garland to the tomato cage by straightening out an ornament hook and wrapping it around where the garland meets the tomato cage. Beginning at the top, start wrapping the Christmas lights around the topiary. Tuck the end of the strand of lights in the top of the tree. 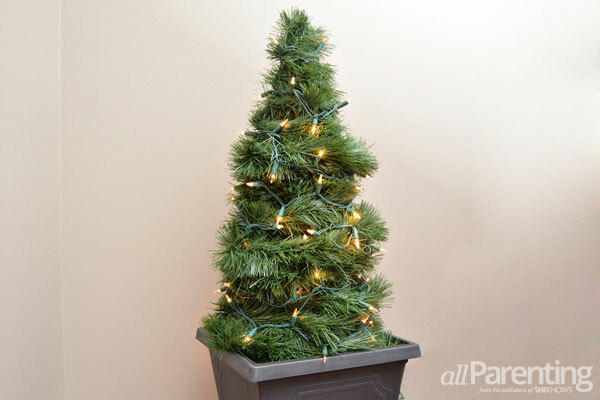 If you have any lights left over at the bottom of the tree, you can hide them inside the pot. 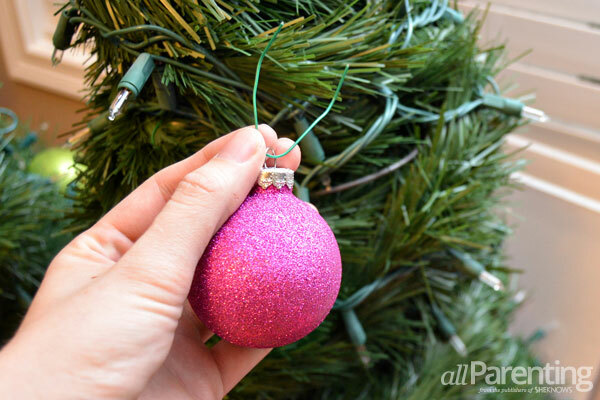 Slide an ornament hook inside the loop on the Christmas ornament, then wrap the ornament hook around the garland to fasten the ornament to the topiary. 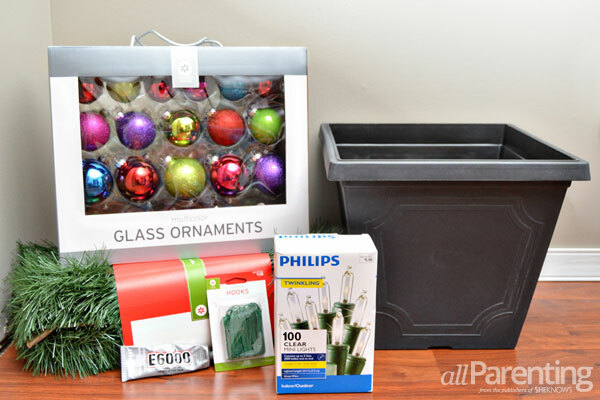 Once all of the ornaments have been added, your new lighted topiary is ready to display!